As a trial lawyer for more than 35 years, Richard J. Grossman has long been recognized for the extraordinary results he has achieved for his clients. 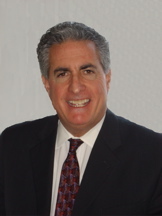 Richard J. Grossman has achieved a Preeminent 5.0 AV-rating for superior legal ability and ethical standards under the Martindale-Hubbell's peer review system and Mr. Grossman was named as one of the top personal injury attorneys in Illinois in, Illinois Super Lawyer, by a survey of his peers, which was published by Chicago Magazine. He was also named a Top 100 Trial Lawyer by the National Trial Lawyers Association. Mr. Grossman represents people who have been wrongfully killed or seriously injured through the fault of individuals and corporations. He has recovered a remarkable number of multi-million dollar settlements and verdicts for his clients in a variety of personal injury and wrongful death cases, including medical malpractice, products liability, motor vehicle, aviation and railroad negligence. Mr. Grossman's most recent victory was the recovery of $8.3 Million for a tire serviceman who was seriously injured as a result of the explosion of a multi-piece rim. His relentless pursuit of case facts, discovery, and trial preparation separates him from most other attorneys. While they are delegating important depositions to inexperienced associate attorneys, Mr. Grossman is personally performing that task. When a witness or party is deposed, he knows that there is only one chance to get it right or lose the case. The trial is the culmination of careful and intensive preparation. Although trial attorneys are known to the public for their courtroom skills, pretrial preparation is what wins the case. This work ethic often forces the defense into submission and an early maximum settlement. 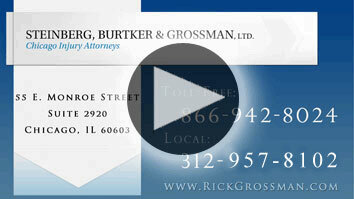 In addition to his Chicago trial lawyer practice, Richard J. Grossman has participated in the training of many young attorneys in the art of trial advocacy. Years later they continue to rely upon him for advice on their pending cases. $8.3 Million to a tire serviceman who suffered brain damage and quadraparesis as a result of the explosion of a multi-piece rim. $4.0 Million to the estate of a man who choked and died after undergoing double knee replacement surgery at Evanston North Shore Hospital. $3.1 Million to the estate of a woman whose complaints of severe headaches post child birth were ignored as a psychiatric when in fact she died from a severe electrolyte imbalance at the University of Chicago Hospital. $2.2 Million to the estate of a woman that was killed in a roll over truck accident on the Kennedy Expressway. $2.0 Million to a tuck pointer who fell from scaffolding while repairing a power house chimney. $1.0 Million to the estate of a woman who fell from her bed at the Rehabilitation Institute of Chicago and subsequently died. $1.0 Million to the estate of a woman who was struck and killed by an emergency vehicle driven by a City of Chicago fireman. $1.0 Million to the estate of a man who died in an intensive care unit as a result of the mechanical failure of a respirator. $800,000 to a man who sustained injuries to his arm from undiagnosed carpel tunnel syndrome at Rush University Medical Center. Preeminent 5.0 AV-rating for superior legal ability and ethical standards under the Martindale-Hubbell's peer review system.